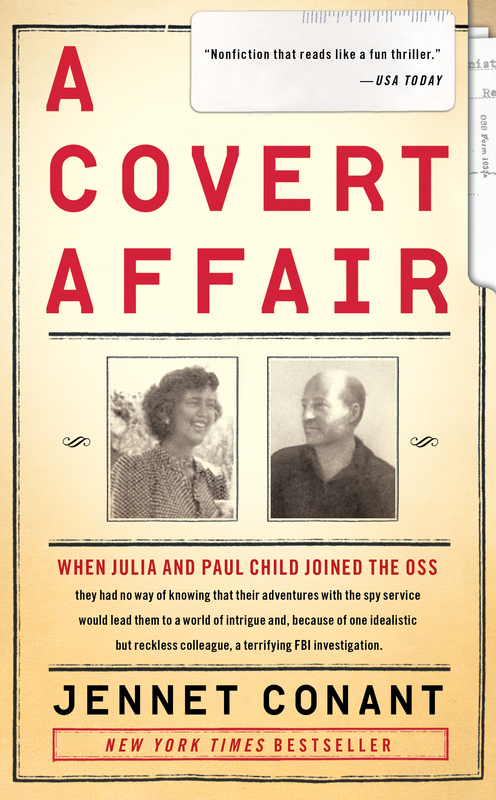 When Julia and Paul Child joined the OSS they had no way of knowing that their adventures with the spy service would lead them into a world of intrigue and, because of one idealistic but reckless colleague, a terrifying FBI investigation. It started with the arrival of a telegram. Ever since the war, the thin slip of a letter had become permanently fixed in people’s minds as a harbinger of death and disaster. Why Julia believed for one moment that it would be good news she could not recall—just that she had been so sure. The cable, which reached them in Bonn on Thursday, April 7, 1955, was addressed to her husband, Paul Child. The cursory message took the form of an urgent summons to Washington: REPORT SOONEST FOR CONSULTATION. Julia had been over the moon. She knew exactly why Paul was being called stateside. They were going to make him “head of the department.” She had even told him as much, her voice brimming with confidence and pride. Incapable of containing her excitement, she had been ready to celebrate then and there. It was silly of her, but characteristic, too. She had gone on happily speculating about the telegram the rest of the evening. Paul had eventually gotten caught up in her mood, his reluctant, mock impatience giving way to anticipation. This, at last, was his promotion, long deserved and long overdue. Then again, when had the State Department ever done anything in a timely fashion? It was just the morale boost they both needed. Six months earlier, Julia and Paul had been forced to leave their beloved France and, crueler still, an adorable apartment in the old port city of Marseille, because of an inane government decree that a diplomatic post in any given country could not exceed a period of four years. The three years they had spent in Paris directly after the war, followed by a fifteen-month stint on the southern coast, meant they had exceeded the limit. They had no choice but to pack up and go where they were told. The transfer to Bonn could not have come at a worse time. Julia had been in the midst of testing recipes for a French cookbook she was contracted to write for the Boston publisher Houghton Mifflin with two fellow gourmands she had met in Paris. She knew that the new assignment for Paul not only would take her farther from her collaborators, but would remove her from the country in whose cuisine she should be immersing herself. As difficult as it had been for her to box up her kitchen in Marsailles, Julia understood that the move was infinitely harder on Paul. He had spent his formative years in France, and the language had become second nature to him, as had the internecine squabbling of the locals. The country had captured his heart long before it had taken hold of hers. Their first glimpse of their new home did nothing to lift their spirits. “Woe—how did we get here!” Julia scribbled in her diary on October 24, 1954, the day they arrived in Bad Godesberg, a drab residential district just south of Bonn. Flush with dollars from the Marshall Plan, the entire Rhine Valley had been rapidly rebuilt as part of the country’s economic and industrial redevelopment, and it was full of blocky concrete office buildings and bristling with American soldiers. Julia and Paul were dismayed to find themselves back in the familiar embrace of the U.S. military, assigned to live in a segregated (“no Germans allowed!”) compound called Plittersdorf on the Rhine, which its unfortunate occupants had dubbed “the Golden Ghetto on the Rhine.” They had never cared for this part of army life—the rows of anonymous housing, streets crawling with jeeps and military policemen, and bars crowded with drunken young men in ill-fitting uniforms who wanted to be anywhere but there. Writing to her sister, Julia griped that she had “had enough of that meat-ballery during the war to last her a lifetime.” Still, there were plenty of opportunities for escape. Paul’s Foreign Service salary enabled them to live well, especially as the dollar was strong against the mark. Whenever possible, they fled across the river to Bonn, a picturesque university town that had been occupied by American troops toward the end of the war and had somehow managed to survive relatively unscathed, its medieval battlements and grand boulevards still redolent of Old World charm. There they could sample the solid regional fare, the sauerbratens and sausages, inevitably served with groaning plates of potato pancakes. Afterward, too full to go far, they would stop to recover at one of the pavement cafés along the banks of the river. Within weeks of their arrival in Germany, Julia and Paul had picked up on the atmosphere of distrust and unease. The place was rife with closed-door meetings, simmering tensions, and subterranean plots. They were on the front lines of the Cold War in Europe, though Julia could not help feeling that the chill in the air had its origin in the “rampant right wingery” that had seized their own country in recent years. In Washington, the mood was so changed that on her last visit home she had scarcely recognized the city as the same place she and Paul had lived in those first happy postwar years. When peace was declared, Americans had celebrated their achievement. The GIs had triumphed over Germany, over Japan, and, in the bargain, over the Great Depression, and in the first glow of euphoria that victory had seemed complete. The United States, with its great economic and military strength, seemed invincible. During the late 1940s, while based in Paris, Julia and Paul had watched as their country’s ascendance as a global power led to a new confidence in its role in international affairs, as well as a greater sense of its responsibilities in preserving the peace and shaping the future, and the corresponding spread of U.S. policy-making agencies and legations around the globe. As the rewards of war failed to meet the impossibly high expectations, however, the euphoria had quickly faded. New fears about the nation’s security had gripped the public. The tone of political debate in Congress grew sharply partisan and bitter, with the Republicans making the most of charges of Communist infiltration of the Truman administration, as though that could explain the failure to foresee what had happened with the Soviet Union and China. In the spring of 1947, in an effort to protect his administration, President Harry S. Truman established the Federal Employee Loyalty Program, a broad measure instituting background checks and screening procedures for all incumbent and prospective government employees. But instead of reassuring the public, the program helped legitimize the idea that international Communism posed a domestic threat. By the end of 1950, Alger Hiss was convicted of perjury, Klaus Fuchs confessed, and Julius and Ethel Rosenberg were arrested on espionage charges of passing bomb secrets to the Russians. Inevitably, in 1953, after years of relentless media coverage, the Rosenbergs got the chair. All of this seemed to confirm the existence of spies in every nook and cranny of government. Washington was awash in paranoia and suspicion. The junior senator from Wisconsin’s rapid rise to power was a recurring theme in the newspapers and Julia and Paul were riveted. They read everything they could get their hands on in Bonn, including the Herald Tribune and an edited version of the daily New York Times, and they beseeched family members to send articles from home. McCarthy had successfully made Communism a potent campaign issue, and he bullied President Truman into implementing an executive order to begin loyalty investigations of government employees. After the “fall” of China in October 1949, when the Communists led by Mao Tse-tung proclaimed the formation of the People’s Republic, McCarthy and his allies had stepped up their ideological attacks. On February 9, 1950, in a speech before the Women’s Republican Club of Wheeling, West Virginia, McCarthy had announced his crusade against government employees suspected of being members of the Communist Party, who were nevertheless “still working and shaping policy in the State Department.” Julia and Paul had seen the headlines that followed, all of which focused on McCarthy’s claim that he had in hand a “list of 205” names of traitors. McCarthy’s Red scare became a real cause of concern, alarm even, to State Department personnel. He had made the overseas information agency one of his targets and had vowed to root out “security risks.” Hoping to appease McCarthy, President Dwight D. Eisenhower’s new secretary of state, John Foster Dulles, had dismissed a number of high-level diplomats and had warned that anything less than “positive loyalty” from Foreign Service officers was “not tolerable at this time.” Julia and Paul had been en route to Germany when they had heard about the flurry of coerced departures in Bonn. This had been followed by reports of books being removed from the shelves of libraries run by the USIS, known as America Houses, in a number of European cities. Dashiell Hammett’s hard-boiled detective novel The Maltese Falcon was one of the many books McCarthy wanted “deshelved”—a neat euphemism for censored. In Berlin, a book entitled Thunder Out of China, written by their friend Theodore H. White, a Time magazine correspondent during the war, was found to be objectionable; it was removed and burned. Apparently White’s sympathy with Mao and some of the Communist objectives made the book too dangerous for the eyes of impressionable Germans, the citizens of a country America was trying to turn into a unified democracy. Julia and Paul had watched with sinking hearts as one after another of the career Foreign Service officers they had served with in China, among them some of their closest friends, had been forced out, while still others quit in disgust. Anyone who had departed from the official line in the Far East, or had had the temerity to write a critical report, was being labeled un-American and blamed for having “lost China to the Reds.” Somehow Mao’s victory was now being seen as part of a master Kremlin plot, enabled by a band of Sinologists—known as China hands—who had conspired to undermine U.S. policy. “Quite a number of people were just ruined,” recalled Julia. She and Paul had both served with the OSS in China and wondered if they should be worried, too. At the same time, it was difficult to judge to what extent some of the transfers and resignations being ordered from Washington were part of the normal changing of the guard and would have happened eventually, even without the buzz saw of McCarthy’s Red hunt. It was no wonder they seized on the telegram from Washington as a reprieve. Paul’s orders to report to Washington meant that everything was going to be all right. He was going to get a promotion, maybe even a new post. The Sunday Paul was scheduled to fly back to the United States, Julia and a party of friends decided to see him off. They were in a festive mood as they drove to the airport in Düsseldorf. The following morning, still feeling giddy, Julia decided to get dressed up and go to a reception in honor of James B. Conant, the high commissioner for West Germany. * Conant had overseen the end of the occupation and, as a last act before his office lapsed into history, was formally recognizing the beginning of rearmament. There would be champagne all around—even if many in the room, Julia included, felt it was a bit premature for the Germans to be given their army back. On Tuesday, another telegram arrived. It was from Paul. The first words Julia read sent a chill down her spine: SITUATION CONFUSED. I thought Barjansky would be able to clarify the mystery. But no. On the contrary. He was waiting for me to clarify it for him! Ah me—what a muck-up! He thinks it must be something special and secret, otherwise “they” would certainly have told him…. Mike says there was a definite instruction to mind his own business. He then, naturally enough, assumed I was a CIA agent all the time and that my job as Exhibits Officer was merely a cover, and that I was being hauled back on a secret mission. We were both astonished when each of us learned that the other knew nothing. Resigned to the fact that he would have to “walk the plank alone,” Paul reported to the Office of Security, where he spent the better part of the afternoon and evening being interrogated by two special agents, W. H. Sullivan and A. W. Sanders. A secretary, silent as the grave, took down a complete transcript of everything said. The two agents sat across the table from him, staring over a four-inch-thick dossier that had evidently been assembled with great care over a considerable period of time. Paul was informed that he was the subject of a State Department Special Inquiry, an official investigation into his character, reputation, and loyalty. Friends, relations, employers, and associates—from the distant past to the present—had been tracked down and interviewed. The “second suspicious thing” from his past, he wrote Julia, appeared to be the fact that he had at one time given the name of Morris Llewellyn Cooke as a reference. An old friend of his brother’s, Cooke was an eighty-five-year-old liberal Democrat who had been a dollar-a-year man during FDR’s administration. As far as Paul could tell, Cooke appeared to be in “bad odor” with the authorities and a suspect in some kind of right-wing “Republican-brand investigation.” (Cooke was a member of the board of directors of the Independent Citizens’ Committee for the Arts, Sciences, and Professions, an organization that the FBI listed as “Communist-controlled.”) Paul told them that while he was acquainted with Cooke, he did not consider him “an intimate friend” and knew nothing about his political ideology. They worked away at Paul’s connection to Cooke for at least an hour, asking about anything the two might have in common, including residences, work, ideas, projects, and travel. They asked if he was familiar with other colleagues of his brother and sister-in-law, and the FBI agents mentioned several names that meant nothing to him. When the war broke out, Paul tried to get into intelligence work but claimed he was disqualified because of a partly blind left eye, the result of a boyhood accident. Then came a call from Washington that he might be of use to the government because of “certain abilities,” which he later learned referred to judo, which he had been studying since the age of twelve. (He was a third-degree black belt.) Ultimately it was his talent as an artist that attracted the attention of the OSS, which hired him in 1943 to make situation maps, charts, and diagrams. While there were countless references from friends attesting to Paul’s loyalty and integrity, describing him as a “solid citizen” and person of “high caliber,” there were an equal number of reports expressing hesitancy about his brother, a painter, who was generally viewed as less stable, prone to sympathizing with the “underdog,” and someone who could become receptive “to movements of a disloyal nature.” Some of those interviewed maintained that Charles Child and his wealthy wife, Fredericka (Freddie), were “Communist sympathizers,” although the record states there was “no actual proof” of any such activities. As a result of lingering doubts about Paul’s leanings, both political and sexual, it was recommended that his wife be investigated for anything of “a derogatory nature.” According to her confidential file, Julia (or Julie, as she was known then) McWilliams was from a socially prominent Pasadena family, had attended school in California followed by Smith College in the East, and enjoyed an “excellent reputation.” Her record was unblemished. Furthermore, she was known to be a close friend of the third Mrs. Harry Hopkins, formerly Mrs. Louise Macy, a fellow alumna of Smith College. Julia had been briefly employed at Coast magazine in San Francisco, and in the advertising department of W. & J. Sloane in New York, before going to work as a file clerk for the Office of War Information in 1942. 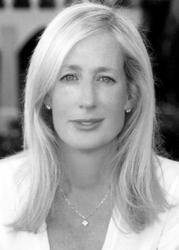 Her father, John McWilliams, recently remarried, was known to be a Republican, very active in civic affairs, and on the board of education. Overall, the family was considered to be “above reproach.” A longtime neighbor testified that Julia; her sister, Dorothy; and their father were “as fine loyal Americans as possible.” Investigators in Bonn turned up a coworker who reported that at times Julia could be more outspoken than her husband and had once referred to her father as a “Black Republican” and to members of her family as “stuffy middle class.” The implication was that she felt her family had had “everything handed to them on a silver platter,” had never done anything for themselves, and were therefore dull and uninteresting. However, the source did not consider her to be “left wing” and said he would classify her as a “Truman Democrat.” As part of a routine “neighborhood check” in Paris, the concierge of the building where the Childs had rented an apartment was interviewed, and she reportedly stated that Paul and his wife appeared “devoted to each other and were always together.” The concierge concluded by stating that she could furnish only favorable information about the couple. Paul later wrote Julia that he had stood up to his interrogators and had assumed from the outset that the homosexual ploy—which he considered “fairly dirty”—was designed to unnerve him and compel a quick confession. He remembered that when their friend Charles E. “Chip” Bohlen was Eisenhower’s ambassador-designate for the Soviet Union in 1953, McCarthy opposed his nomination, and when his attacks on Bohlen’s performance at the Yalta Conference proved insufficient, he got the FBI to leak some suggestive stories raising doubt about Bohlen’s sexual persuasion. Bohlen was confirmed anyway. But to Paul, it showed that McCarthy and his henchmen viewed homosexuality, on their sliding scale of perversions, to be just a hair removed from Communism, and any such admission would have surely sealed his fate. Ironically, after having to defend himself against charges that he was sexually bent, he then had to convince them he had never bedded Jane Foster, despite the fact that she was an attractive woman—a high-spirited, golden-haired California girl who was reportedly one of the most memorable of the female OSS recruits to be flown into the Eastern theater during the war. Paul had spent an entire year in her company in Ceylon. Did he really expect them to believe that despite being billeted in the same barracks all that time he had never so much as made a pass at her? Paul patiently explained that while he and Jane were “very good friends,” they had never been lovers. She was, in his words, a loose, warm, gregarious, and witty woman. Someone he found “fun to talk to.” A “bold, free spirit” who was not regulated by traditions, the type of person “who might dine at six pm one evening and at eleven the next.” He had escorted her to a number of dinner parties and dances on the post, and they had shared countless meals together, but that was as far as it went. At first, Julia was unable to take it in. “Paul is being investigated!” she noted in her diary on April 13, the enormity of what was happening finally beginning to sink in. The very idea of a Special Inquiry was “inexplicably weird.” Although it was utterly absurd that anyone could suspect her husband of being a Communist, she realized they could not afford to take the allegations lightly. Paul was afraid he might be in the “same position” as an old friend and colleague, Leonard Rennie, who was among a group of employees dismissed by the State Department as security risks. Paul had spent the weekend with the Rennies at their country home, and while their sympathy was well intended, it was of small comfort. They knew all too well the damage that even a hint of controversy could do, let alone a full-blown inquiry. He had been advised by a high-level USIS official by the name of Parker May to say nothing and wait. Patience would be in his “own interests.” Meanwhile, he was not to engage in any real work, but to try his best to maintain the fiction that this was one of those run-of-the-mill “government mixups.” If the FBI did not turn up anything incriminating, he would be given a clean bill of health and sent home. Paul, of course, had no intention of keeping quiet. “As soon as he got out that first day, he went howling to everyone he knew,” recalled Julia, who had stayed up till dawn on Wednesday reviewing everything Paul had told her with a senior Foreign Service officer whom she knew they could trust. Between them, she and Paul knew a number of important people, and they both spent the next few days working the phones trying to find a way to remedy his situation. Although Paul was confident he had acquitted himself well in the security interview and was still a “persona grata,” he was not yet in the clear. He had been given notice that he could be reexamined at any time. He was not to leave town. The standard investigation lasted thirty days, and he had to sit tight until they were done. As a precaution of sorts, he asked Julia to make copies of his long account of his interrogation available to his two supervisors in the Bonn office. He wrote her daily. His affectionate letters, full of his usual chatty badinage about the poor food and soupy heat of Washington’s Indian summer, belied his consuming doubt and anger. He cautioned her to postpone an upcoming trip to Paris in case she was needed in Washington at the last minute. The waiting was agony, made worse by the fact that they were an ocean apart. She bombarded him with special delivery letters, telegrams, and telephone calls testifying to her unwavering love and support. “You are finer, better, more loveable, more attractive, deeper, nicer, nobler, cleverer, stronger and more wonderful [than other men],” she wrote. “I am so damned lucky even to know you, much less (or more) to be married to you.” Privately, she felt fear bordering on panic. She was on pins and needles all the time. She was terribly worried about Paul’s health. The FBI interrogation had been “a horrible experience for him.” Every day he remained under suspicion was exacting a toll on him, emotionally and physically. He was having difficulty sleeping and was dependent on what he called his “goldfish”—tiny, brightly hued pills prescribed by a local doctor—for the little rest he got. His stomach, weakened by too many bouts of intestinal parasites contracted during the war, was in a dreadful state. She could not help thinking the worst. Paul could be fired or detained or dragged through endless months of loyalty hearings like some they knew. How was it that Jane Foster, of all people—smart, funny, talented Jane—had ended up on McCarthy’s list of “Communists in the State Department”? Jane was a painter. She was not even employed by the government anymore. What, if anything, could she possibly have done to bring this calamity down on all their heads? The whole thing would have been laughable if it were not so terrifying. At all times during his questioning, Paul tried to be perfectly frank, and to show by his attitude that he had nothing to be ashamed of or to conceal. He felt “untainted,” he wrote Julia that weekend, because he was “completely cleared and completely blameless.” Still, he could not let it go. The whole business ate away at him, poisoning his gut. “I’m afraid I hate the system,” he agonized, wondering if he would ever again feel in control of his career, let alone his life. “What the Hell are they investigating Foster for, anyway? Or was that really a dodge to investigate me? Damned if I know.” What he wanted, above all, was an explanation that made some sense of the whole thing, that would tell him what had gone wrong, so he would know how to go on from there. How else was he to avoid the pitfalls ahead? And protect Julia, himself, and his career from further harm? But clearly no such enlightenment would be forthcoming. He was on his own. As far as Julia and Paul were concerned, that put an end to the Jane Foster affair. They had no way of knowing then that it was far from over. * The USIS is known domestically as the United States Information Agency (USIA), but for clarity and consistency will be referred to henceforth as USIS. * The eccentric capitalization and punctuation in all the letters are as they appear in the originals. * James B. Conant was the author’s grandfather. * Blum was a leading figure in French literary circles, a Goethe scholar, a socialist agitator, and one of the heroic Vichy 80 who refused to recognize the authority of the Nazi-supported government of Marshal Philippe Pétain during World War II. He was three times prime minister of France.